Simone Gundy sings ‘I Who Have Nothing’ on The Voice Season 11 Blind Auditions Episode on Tuesday, September 27, 2016. “You are such beautifully unique voice,” said Alicia Keys. “I have chills and goosebumps. You are performing for me. I Love you and Im a fan right now. I want to see everybody what you can do,” said Miley Cyrus. “Right now, I’m a monstrous animal and I wanna get you on my team,” said Adam Levine. Simone Gundy picks Adam. Watch her performance on the video below. 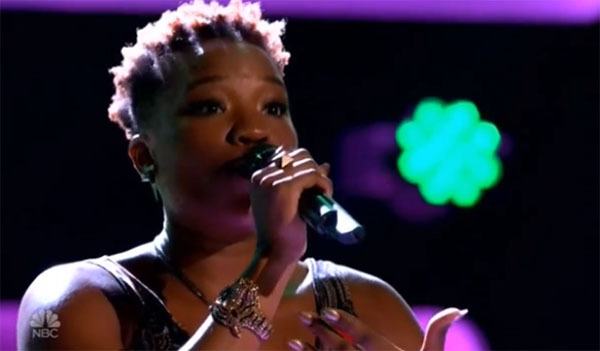 What can you say about Simone Gundy’s blind audition? Share your comments and views on the discussion box below.